Who says Essex can’t do style? It may sit in one corner of a thumpingly charmless concreted cul-de-sac of a car park, with an enormous branch of Sainsbury’s eyeing it threateningly across legions of preeningly-customised vehicles. And it may have to put up with neighbours the likes of a flower shop called, with devastating imagination, The Flower Stop, and a barber’s called, fatalistically, Homme Fatal. And it may not look in the best of shape, with peeling paint and grimy walls and a sorrowful sense of clinging to its own self-worth in lieu of anyone else extending it much care or attention. 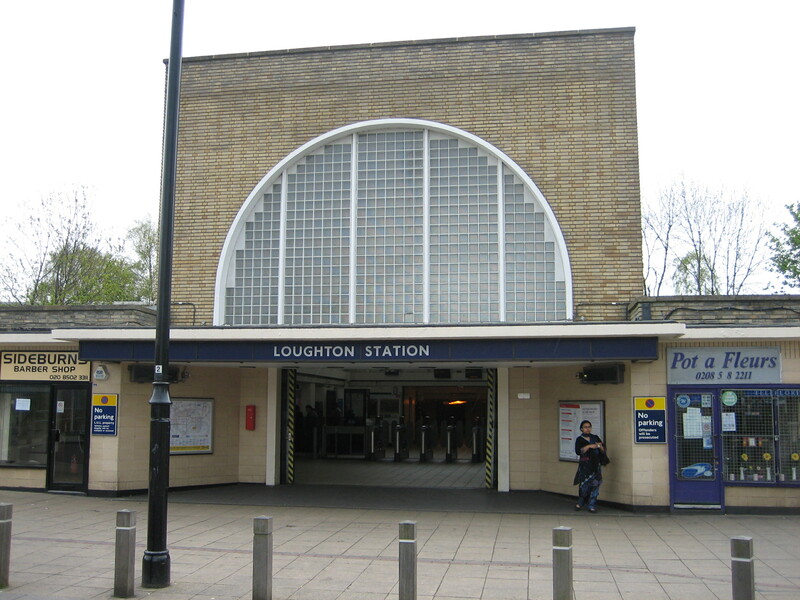 But Loughton station nevertheless defies the broad brushes of ridicule slapped over the surface of its county’s reputation to remain one of the Underground’s noblest of suburban outposts. 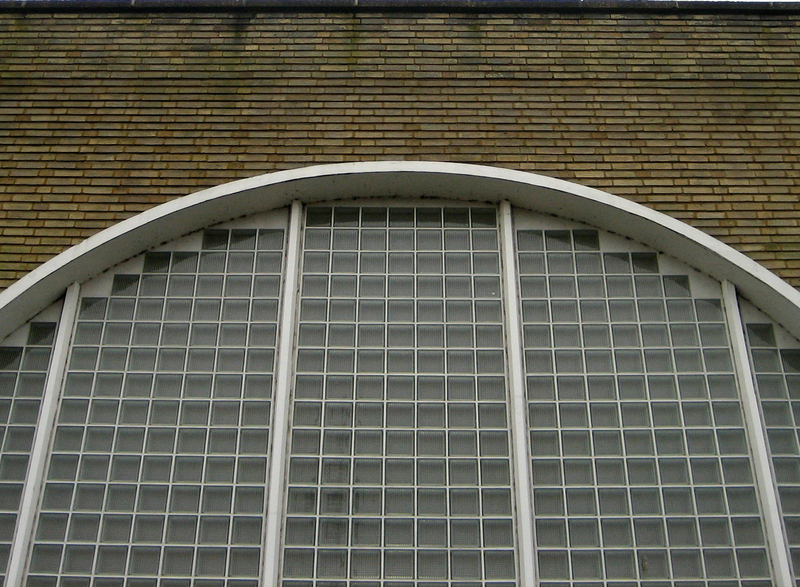 Brick, concrete and glass: the holy trinity of Underground architecture. Easton was pencilled in to redesign all the stations on the Central line extension (previously the London & North Eastern Railway) from Woodford to Ongar. This is the only one he managed to see built, thanks to the Third Reich going on manoeuvres. It’s a massive shame, as the rest of this stretch of the line is decidedly underwhelming by comparison (it gets better – much better – back in zone 4). 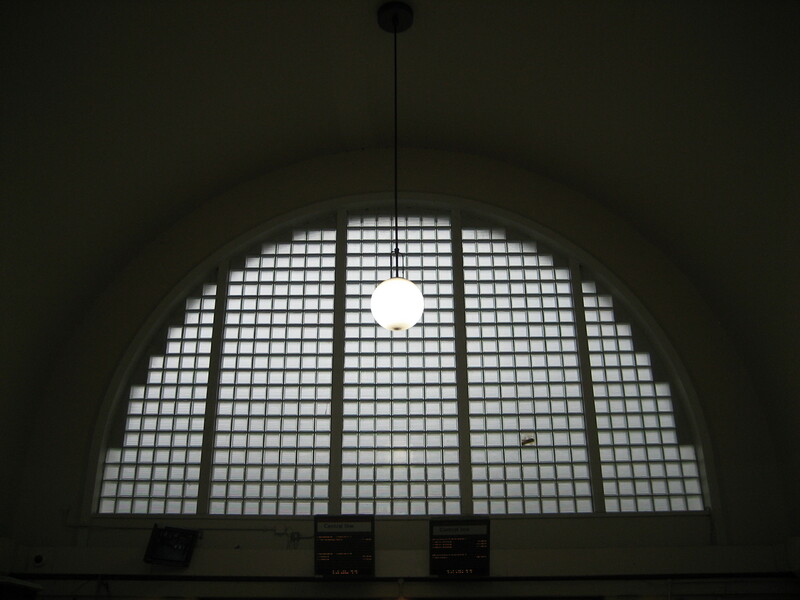 Once again I wonder what railway users of the 1940s made of such grand architecture in such galling times. I like to think they took to it instantly and enjoyed it as much as I do today, the magnificent arched window crouching above the entrance making you feel like you’re walking into some kind of box of delights (which you are). Instead it probably got best-known as a place that provided a rich resource of nooks and shadows to trade gammon and cammy-knickers. Postscript: looking back through photos I took of Loughton station in 2008, I notice the flower shop used to be called Pot a Fleurs – ah, such sweet pretension! – while the barber’s went by the rather dowdy name of Sideburns. And they ditched that for Homme Fatal?! It’s a thermal window, more or less! Not thermal as in “it’ll keep you warm”, but as in the style of window as used in thermae- a Roman Bath. Look at http://en.wikipedia.org/wiki/Diocletian_window . It’s there in the late-classical Baths of Caracalla in Rome, and the pattern was incorporated into Hagia Sophia a couple of centuries later in Constantinople. 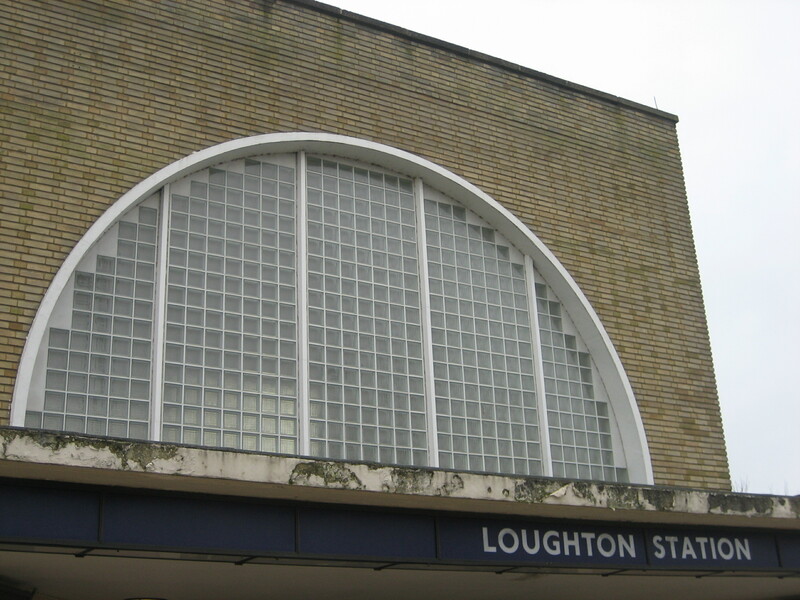 And in the 1930s its latest sublime Modernist iteration was found in suburban Essex… Gosh.